I don’t know about you all but this year I am determined to step it up in my sewing room. Last year was a down year for me and my hobbies but this year, I am not taking no for an answer. With my daughter getting a big older, I am going to try and steal a few more hours during weekend naps and early bedtimes to squeeze in some more sewing projects. I decided to do a round-up to highlight a few things I want to try this year. I still consider myself a true beginner at sewing so, some of these are a tad bit outside my comfort zone, while others are right up my alley. 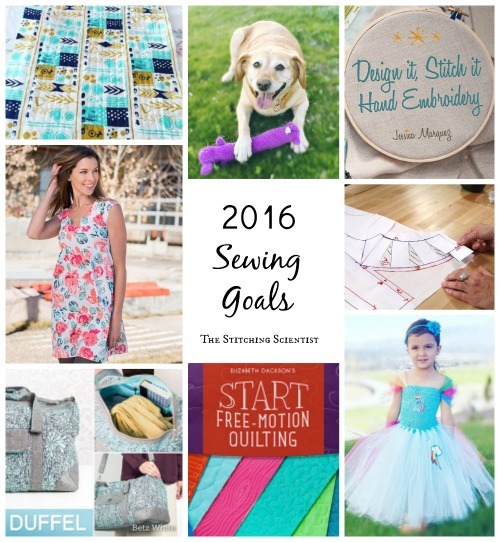 Here are my 2016 sewing goals. I really hope you guys stick with me this year to see how many of these I end up doing. As you guys know I have a dog. Her name is Zoey. She is the only one we have left since our beloved Zeus passed away. Since Zeus’ passing, I have been somewhat neglectful of her. Well, that’s going to all change this year. I am planning on doing more pet projects this year. I want to learn to sew a pet rain coat for her when we go walking. Maybe some nice accents to her collar and off course a few pretty costume pieces. 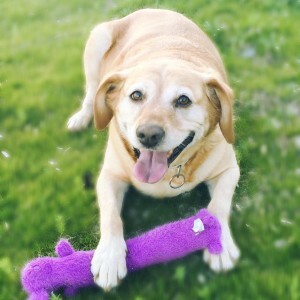 I noticed there aren’t many dog sewing projects online, so this may be my opportunity to add to the offerings. So, I know this may be wishful thinking on my part but I want to learn to do hand embroidery. I think this is such a beautiful skill and I would love to try it out this year. I want to make some wall hangings for my kitchen and dining room and even my daughter’s play room that will last a lifetime. I also like the idea that I can do something like this while watching a movie on the couch. Hmm, not sure if I will get to it but its on my list for sure. I am serious sewer. I get caught up in a project and its completion without enjoying the process. If I start something, I must finish it. Otherwise, it stays on my mind and refuses to leave until I am done. That can get stressful with being a single working mom. So, this year, I am going to try and relax a bit and enjoy the process of doing my projects. I think including my daughter may help a bit. She is at an age where she can cut fabric (with supervision) so maybe, just maybe, I may have her help me in my sewing room. 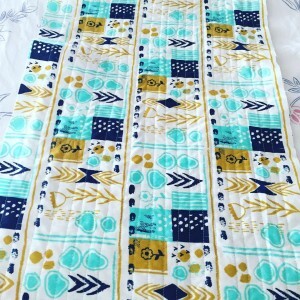 I am also thinking about adding more fun projects to my list; not so many quilts and time consuming projects, but dresses, skirts and accessories. Can I relax and sew at the same time? I will give it a try this year. If you have been following me for a while, you know that I am bag addict. I also love duffel bags. Remember the Overnight Duffel? That is still such a popular bag on the blog. Well, I did that bag having very little knowledge on bag techniques. It’s a simple bag but I still think it could have been down much better. This year, I am determined to take a class, work with a set pattern, learn the basics and make myself a stunning duffel. 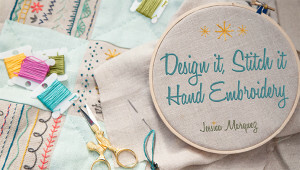 I found this class on Craftsy that I am planning on taking. Not sure which fabrics I will use yet but stay tuned! 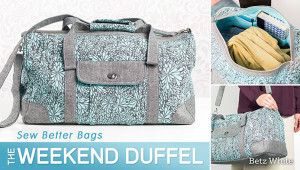 Maybe by making this duffel, I may try and create a new pattern to share with you guys. Excited! I am in the process of buying a house. Yay! This means more sewing projects for my home. I love making pillows, towels, throws and other little decor pieces that my apartment just could not accommodate. This year I am planning on sewing most of my home decor. This includes a few wall pieces, some throw pillows, some nice accent fabric wreaths etc. I can’t wait to show you guys what I create. I am not in the house yet so I may be getting ahead of myself but I just can’t help controlling the excitement. I love to make quilts. They are wonderful art pieces that I cherish and admire forever after its done. However, quilts cost a lot of money. The actually quilting where you put all the pieces together and do the wonderful long arm designs can cost hundreds. It is the only negative to doing quilting projects for me. This year, I am determined to learn how to quilt on my regular machine. 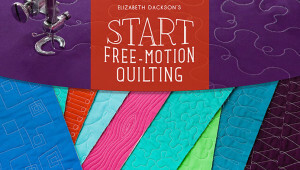 Since I am beginner, I don’t quite understand my machine as much as I should but I read and seen videos of people doing free motion quilting on their regular machines. This year, I am not going to spend money on long arm quilting. I will learn how to do it on my machine and do a little at a time. I made the Washi dress by Made by Rae last year and love it! So, naturally I went out and got more fabric to make another one. 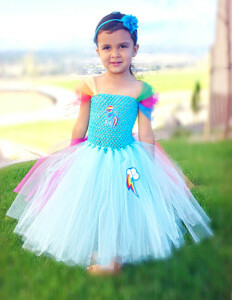 This time, I am planning on putting lining and using a darker fabric to make the dress more work friendly. I am really picky when it comes to my clothes so when I find something that works, I stay with it. I already bought my fabric so this project will definitely be done before the summer starts. There is a kit you guys can buy if you want to try this pattern. It comes with the pattern and the fabric for around $30. I made mine before I knew about the kit and ended up spending way more on my finished piece. Money well spent though because I honestly don’t think I could purchase this finished dress for what I paid to make it myself. 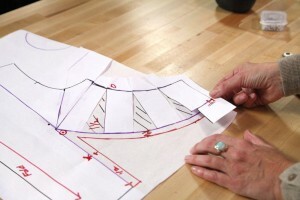 I can definitely draft a dress pattern but not if it has darts. I know nothing about darts. I don’t know why they exist, what the dimensions are, where to stop, where to start. Nothing! Ahhh. There are so many dresses I see that I want to replicate but I can’t because I just don’t understand bodice and dart design. Well, this year that’s all going to change. I am on a mission to understand darts. I know I will mess up and get frustrated but in the end, I will prevail (lol). Stay tuned. 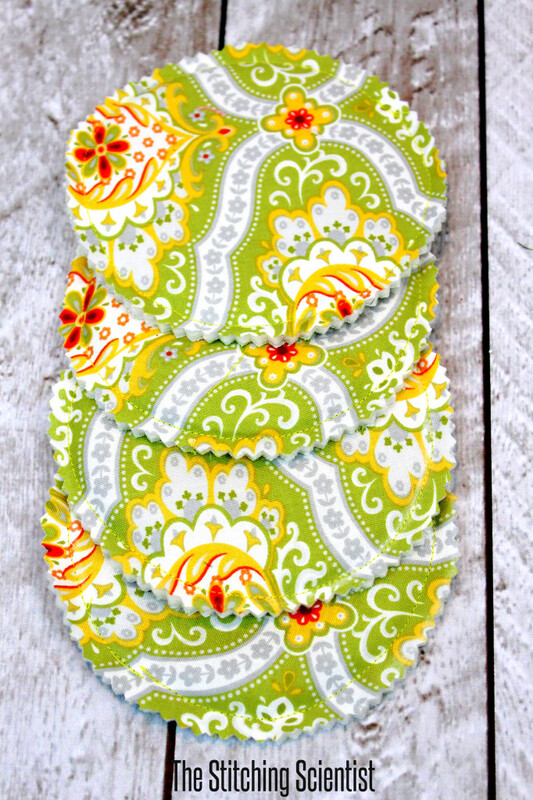 I love cuddle fabrics and I love giving handmade gifts. 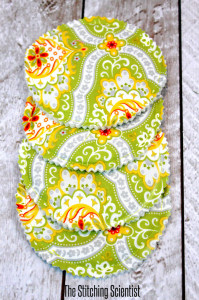 I realized that I don’t have any softie pattern on the blog. BOO! So, this year, I am adding softies to my list of projects to do. The last soft gift I made were these apples as teachers presents. I want to make a spring bunny for my daughter, maybe a soft heart for Valentine’s day and some character pillows to accent my little girl’s room. I have to admit, I am not good at putting little pieces together so we will see how this goal turns out. Plus, my daughter is a horrible critic so I know whatever I make will have to be superb. This is a dream of mine. I know I may not complete it this year but I want to at least start. I am not a pro at Adobe Illustrator but I am okay at it; enough to maybe start designing a fabric line. I am thinking about a soft teal and coral forest animals theme. Cotton and Steel is by far one of my favorite designers. I just love everything that comes from their design team. They definitely inspire me. The problem is that I don’t know where to start. How do others do it? Is it sketching, uploading and coloring? No idea! This is a pipeline dream but I am determined to make it happen eventually.